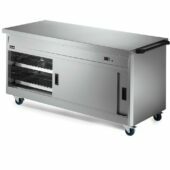 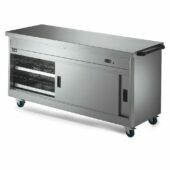 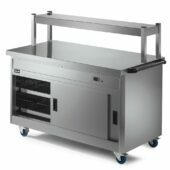 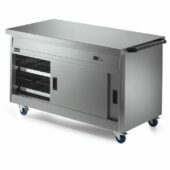 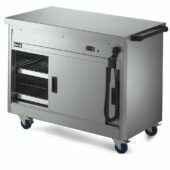 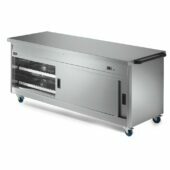 We have a wide selection of hot cupboard plain tops available in 2, 3, 4, 5, or even 6 1/1GN containers that allow for easy transfer to and from other appliances, making them ideally suited to care homes, schools and a variety of kitchens in general, especially those where plated meals are to be transported from the kitchen to the residents/children. 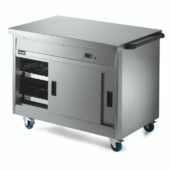 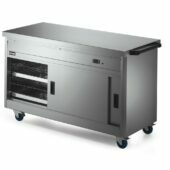 Our hot cupboards plain tops can also be used for the plating up and garnishing of food dishes, while also doubling as a pass through area to front of house staff. 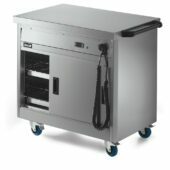 The smooth surface is not only easy to clean, but also provides an extra workspace that can even be used as a mobile workstation should you wish.